 Satisfy any buyer or vendor requirement with scalable solutions. Retailers (online and in store) have incorporated this EDI format to improve their Supply Chains. Having a strong EDI solution removes complexity providing smooth communication between your ERP solution and all your retail channels. How Does EDI Connect Your Business? When you use an integrated solution, you manage your EDI transactions from within your current business systems. The EDI translation and formatting happens behind the scenes. Eliminates manual order processes so you can ship faster. As you add more orders, your cost per document scales down. Great option for businesses with higher order volume or growing companies. SPS Commerce is the industry leader because the look at EDI differently. SPS is a pioneer in cloud-based EDI, changing the way companies have traditionally supported the process, by moving a long standing on-premise business model into the cloud. Connect once to the SPS network and they handle all maintenance, maps and spec changes for you. 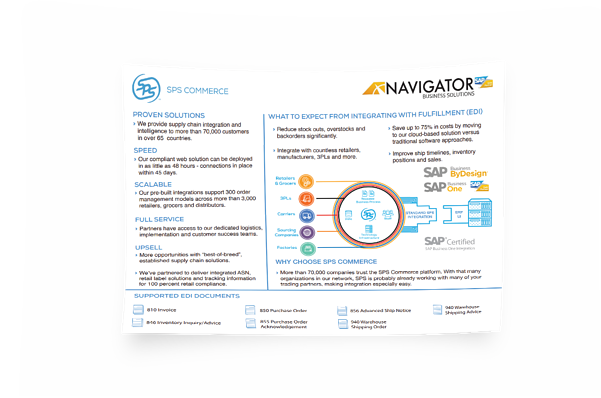 Moving from an ever growing and complicated set of one to one connections, each with their own standards and formatting, is simplified through Navigator Business Solutions iConnect and SPS Commerce. With this single straightforward and out of the box integration, you are able to bring your ERP solution and SPS Commerce together. Through this integration, they automate the passing of data, maintenance, mapping and spec changes from your sales channels for you. 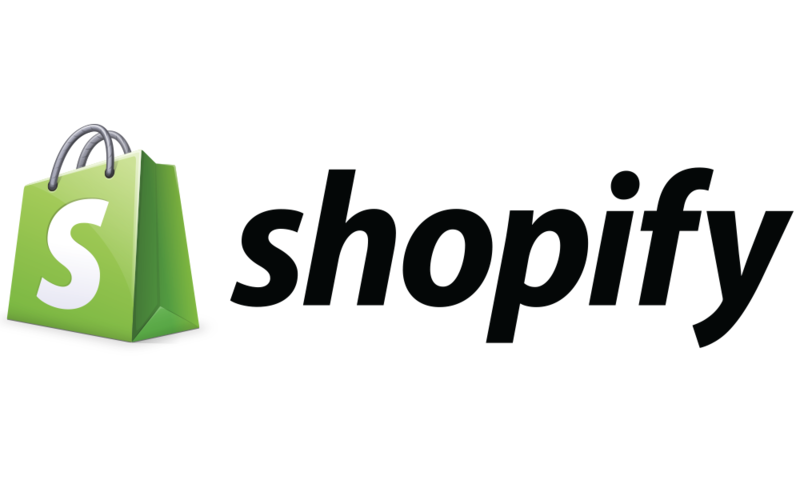 The SPS Commerce platform serves all divisions of your sales channel. Whether you’re a retailer, supplier, grocer, distributor or 3PL. SPS Commerce’s process has been optimized over years of real world transactions, ensuring your onboarding experience will be streamlined and pain-free. Today’s sales channels are ever expanding and changing and with this integrated approach you will have the system flexibility and scalability to grow your business regardless of what the future market holds.